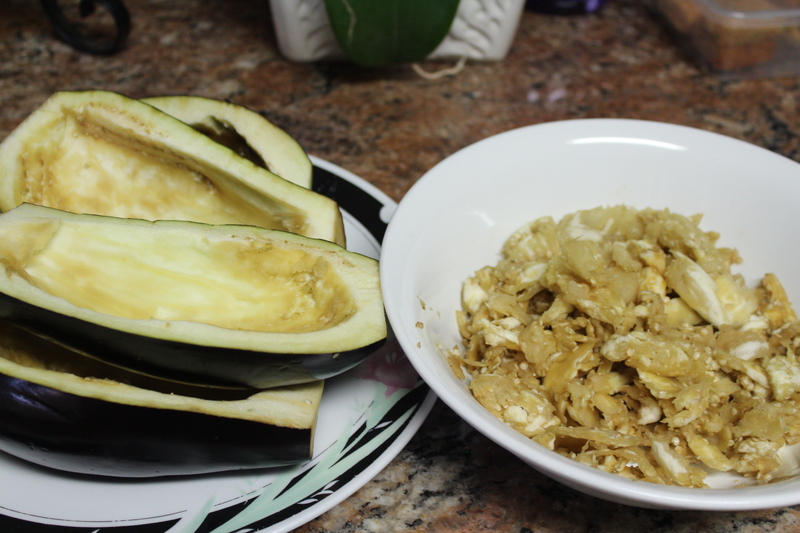 Wash the eggplants, cut off the bottoms and tops. 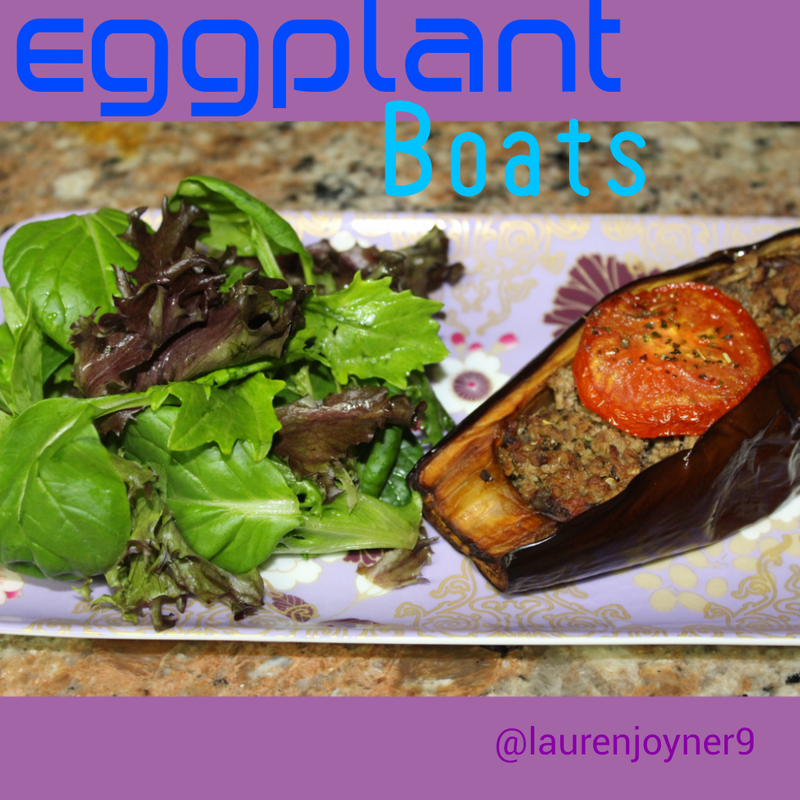 Spoon out the eggplant to make the boats, coat the eggplant boats with the coconut oil and salt and bake in the oven. 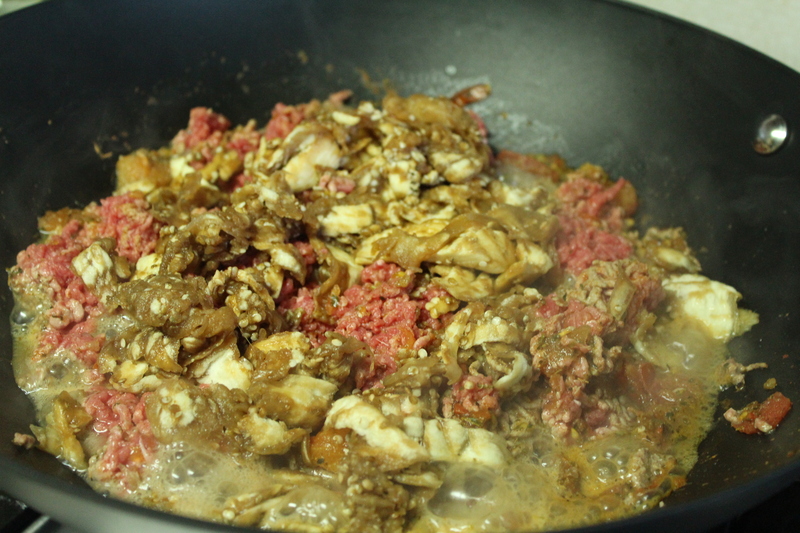 Cook the pizza sauce then add the mince and the scooped out eggplant. This should take about 15 – 20 minutes to cook through. 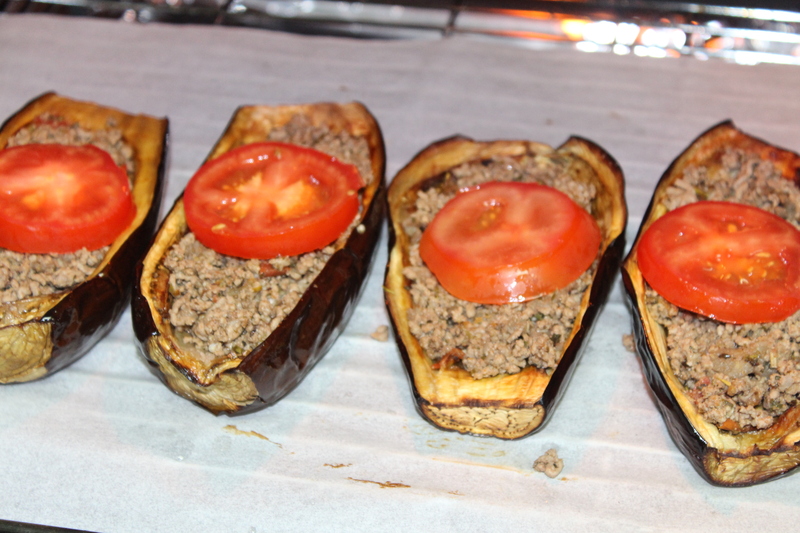 After the eggplant boats have baked for 45 minutes add the mince and top with a sliced tomato.